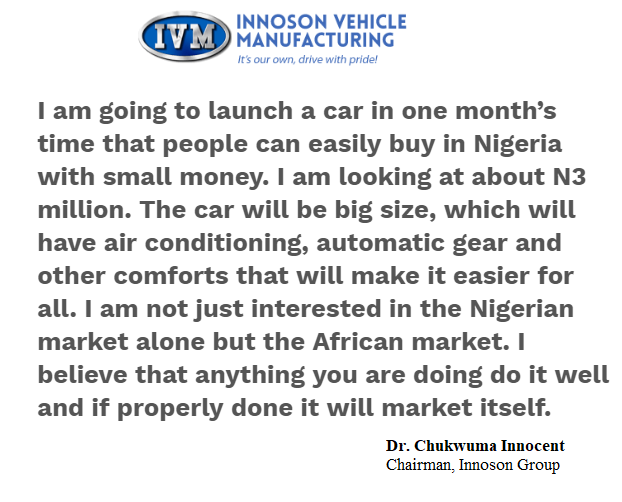 I am going to launch a car in one month’s time that people can easily buy in Nigeria with small money. I am looking at about N3 million. The car will be big size, which will have air conditioning, automatic gear and other comforts that will make it easier for all. 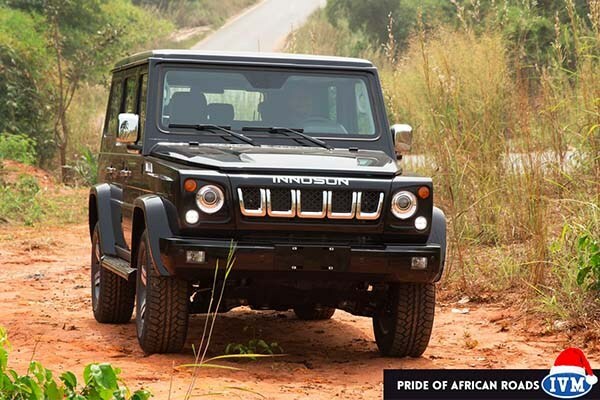 I am not just interested in the Nigerian market alone but the African market. I believe that anything you are doing do it well and if properly done it will market itself.